Yesterday I had the chance to go to an early screening for The Revenant directed by Alejandro Inarritu and it is a tricky film to review. Inarritu directed last years Birdman, which I happen to think is one of the most overrated films of recent years. To me The Revenant is a huge step up from that film but your enjoyment of the film will entirely depend on the type of movie you like to watch. So I have come up with some questions so you can decide whether to see the Revenant or not. 1 Do you require likable characters that show humanity to others? If yes than The Revenant isn’t for you. 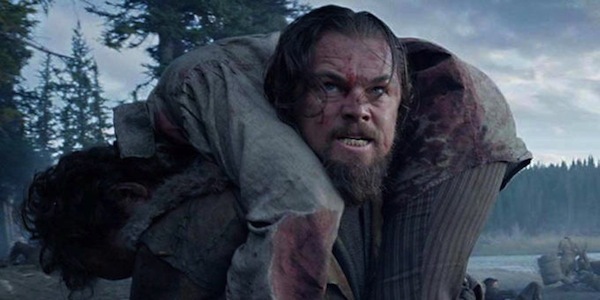 In a 156 minute film there is exactly 3 brief moments of humanity- 1. the bond between Hugh Glass and his son, 2. a Native American man who rescues Glass, tends to wounds and makes a shelter. 3. Domhnall Gleason’s Captain Henry is a good, honorable man who trusts people. All 3 moments don’t end well so they aren’t exactly motivating or encouraging in any way. Every other character in the film is a complete beast and the film is unapologetically dismal and gloomy. Tom Hardy’s Fitzgerald is a complete monster. He only cares about himself and his own survival. It’s certainly not the Western hero we used to get from likes of John Wayne. That’s for sure! This movie makes Clint Eastwood’s Unforgiven look like a birthday party. 2. 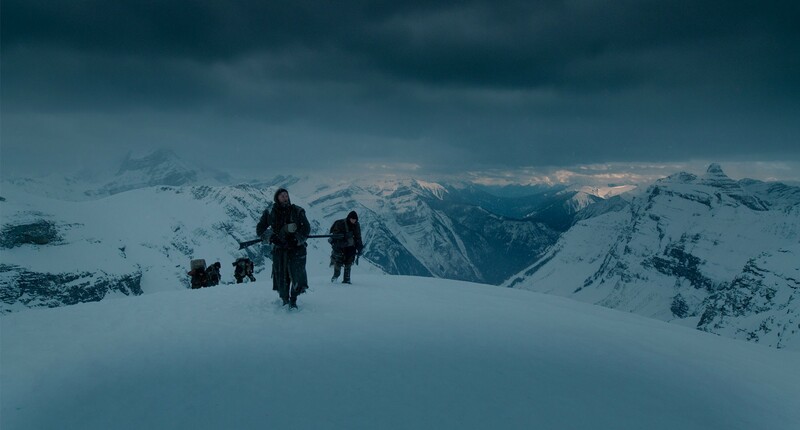 Do you value striking cinematography particularly of the cold outdoors? If yes than The Revenant is for you. The cinematography in the film by Emmanuel Lubezki is unbelievable. Filmed with all natural light the grayness of the cold Montana scenery is magnificent and deadening at the same time. The water is unbelievable- especially one scene where Glass gets thrown down a rapids in the bitter cold. I still can’t believe how they got some of the shots. The story of the brutal filming is near-legend with narrow windows of time with the right lighting to get every take. They had to move to Argentina eventually because Canada started to warm up! 3. Can you handle gory realistic violence? 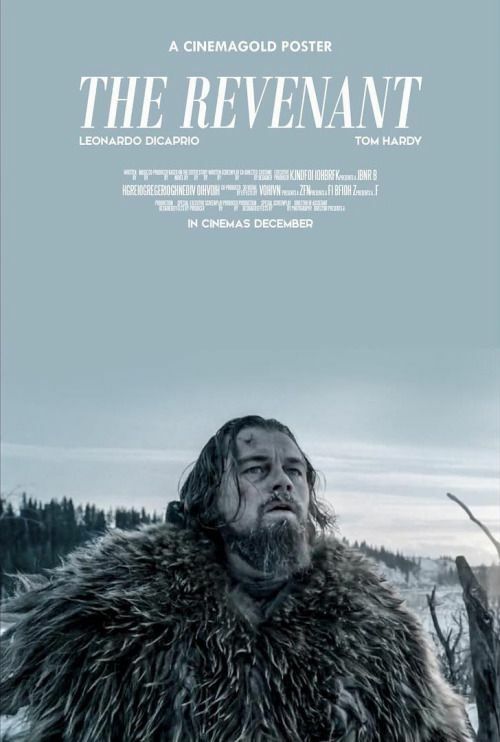 If yes than you may find The Revenant exhilarating. I don’t so a fair amount was tough for me to watch. I closed my eyes a couple of times. However, it was so immersive and new that I did find it compelling. I had prepared myself for the violence so that helped but even then it was brutal. You could say I pushed myself way out of my comfort zone for this one but it’s good to do that every now and then. Much has been said about the bear attack, which is long and shocking. You watch and wonder ‘how the heck did they do that?’. I really have no idea! I know they used a combination of a real bear and cg but it was flawless. As a film fan I love moments in movies I can’t figure out! Oddly enough the more violent parts I felt were the Indian warfare. It is relentless in showing person after person get speared with an Indian’s arrow- sometimes through the head, other times completely through the body. I’ve never seen violence quite like that before, and I’m not going to deny it impacted me. There’s also so much of it. It goes from the first till the final frame and never gives a moment to breath. 4. Do you need a fast paced film? If yes than the Revenant probably isn’t for you. At 156 minutes it is a slow drip and not that varied in what it is depicting. We go from Glass getting attacked, getting abandoned, moving around on the ground, finding food, hiding from Indians, stealing a horse, building fires, etc. Basically surviving day after day. It makes The Martian feel like a joy ride! There really isn’t one moment of levity or break from the horrors of the West. 5. Is acting more important to you than characters? What I mean by this question is Leonardo DiCaprio’s character doesn’t have much to him. There are a few sequences where he dreams of his wife and a better life but we hardly hear him talk. He is surviving and it is the elements that have all the character and personality. That said, it is a tremendous performance and DiCaprio gives it his all and it is hard to not admire that. The same is true for all the other roles. Tom Hardy is great. Domhnall Gleason is great. Will Poulter is fantastic as Jim Bridger. But their characters are pretty basic. So performances great, characters one note. 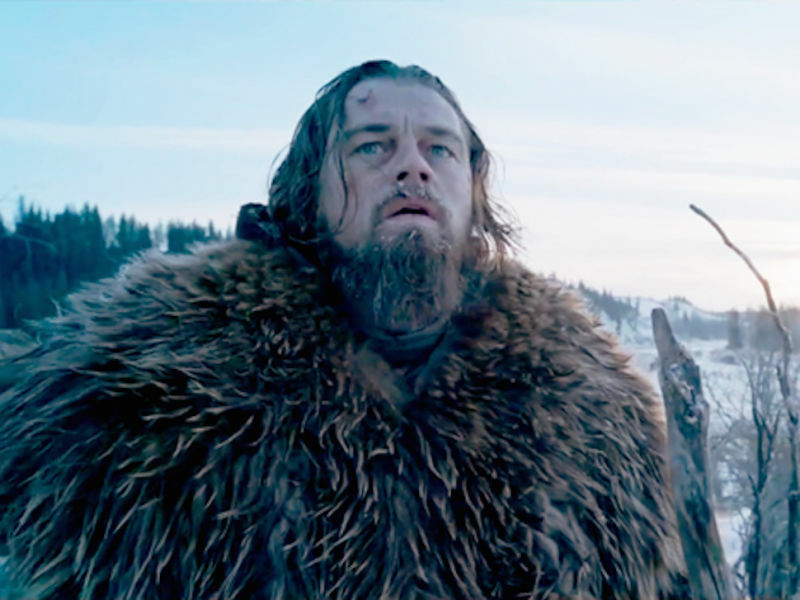 So if you want to see great actors pour their heart into roles than see The Revenant. 6. Do you want to see something new and different? Some people like seeing what we already know and recognize. I am certainly one of those people. 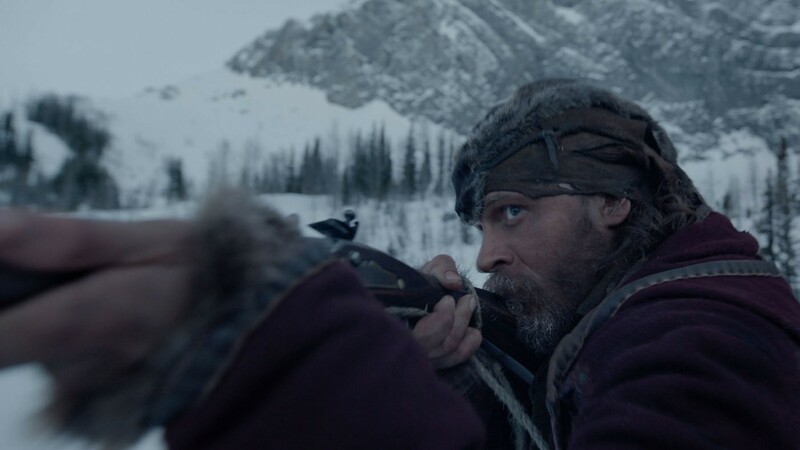 I enjoyed traditional reboots such as The Peanuts Movie, Star Wars, Cinderella etc this year but there is something to be said for a film like The Revenant which feels so entirely new and different. If you can appreciate film as an art and are craving to see an advancement of that art than you must support films like The Revenant. If you don’t than Hollywood will learn from this year that all that gets people in the seats is the same old, same old. I love that traditional stuff but love the new stuff where they are trying, experimenting and taking risks. I will give directors like Inarritu and cinematographer Emmanuel Lubezki a bit of a longer leash than normal because it is so bold and daring. Just the night shots around the fire I was stunned by. How did they do that using no artificial light? Amazing. I realize I didn’t talk much about the movie in those questions but it’s such a simple story there isn’t that much to talk about. 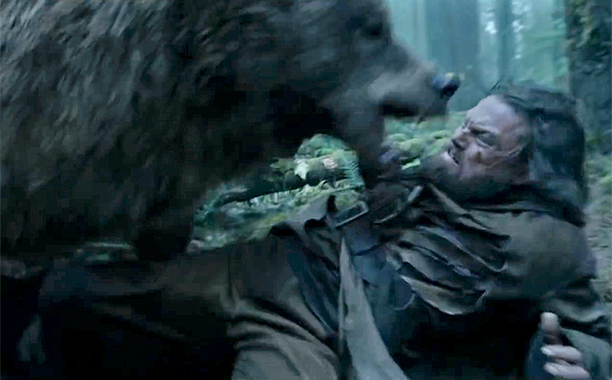 Hugh Glass gets mauled by a bear and left by his fellow pelt hunters to die. The movie is about his survival. The music by Ryuichi Sakamoto, Alva Noto and Bryce Dessner was also amazing. It somehow added to the cold with the constant breathing heard in the background. Here’s the trailer to give you more of an idea. It’s a really hard film to grade because I can see hating it and loving it. Parts of me felt both ways. Content Grade- F (I can’t overstate how gory and brutal this movie it is. Not for the faint of heart). Nice way of explaining the viewing experience. So I probably won’t see it at the cinema, but maybe when it comes out on DVD. Oh I’m so glad you liked it! Was trying something new and it just seemed to fit this film. Glad to get some feedback. I really recommend seeing this on the big screen for the stunning visuals are part of the appeal. I ended up seeing it after all: I went to see The Hateful Eight the other day and it left me in the mood for another cinema visit. While the pacing and the lack of humanity did bother me a bit, I still found it an entertaining film. You were certainly right about the visuals on the big screen! Yeah, I’m kinda surprised you went to see this film too, lol! I have pretty much no interest in this film whatsoever. Good review. All your points are valid for the movie. I’m busy all weekend, so I can to watch the movie on Tuesday (my day off) and review the following day. Cool. Look forward to reading your thoughts! 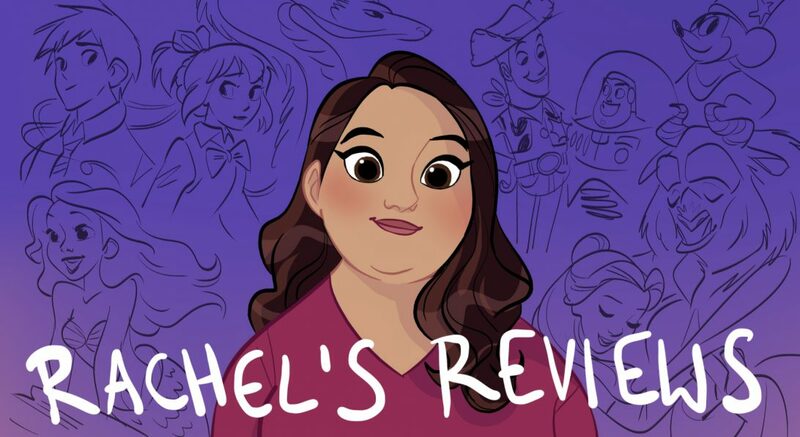 Pingback: Treasure of the Sierra Madre Review | Reviewing All 54 Disney Animated Films And More! Pingback: The Lost City of Z Review – Reviewing All 56 Disney Animated Films And More!